by the father of our client. 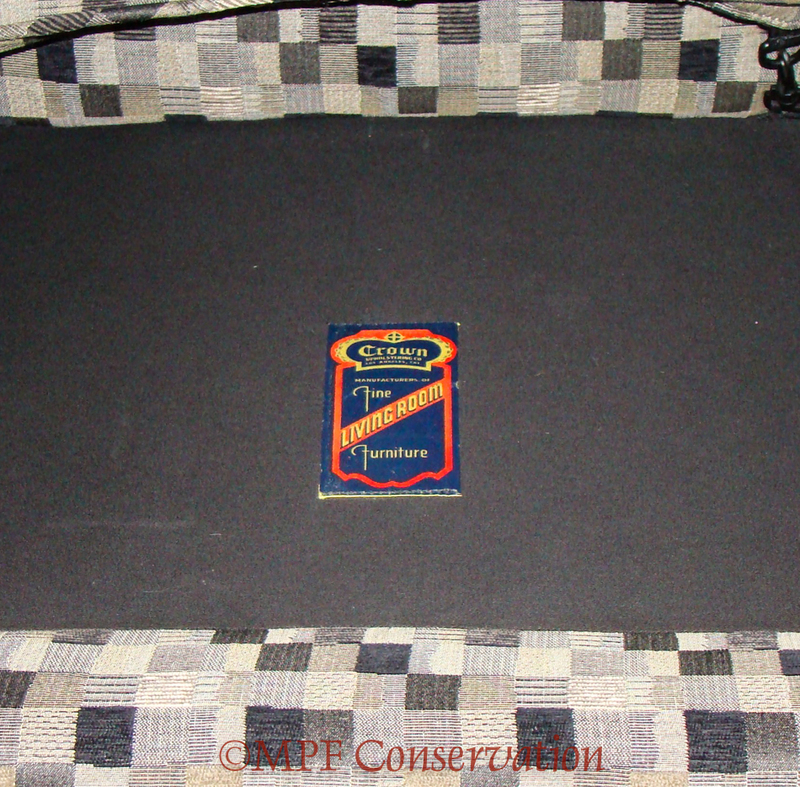 The original fabric was intact; MPFC salvaged some from the outside back of it to make pillows for our client, allowing a bit of the history to be played out in the conservation. This entry was posted in antiques, chair, conservation techniques, decorative motifs, preservation, restoration techniques, textiles, upholstery and tagged #blackandwhite, #crowncompany, #losangeleshistory, #midcenturymodern, #portlandoregon, #shadesofgrey, #throwbackthursday, #traditionalupholstery, #upholsteryconservation, #upholsterypacificnorthwest, #UpholsteryPortlandOregon, #upholsteryrestoration, Crown. Bookmark the permalink.